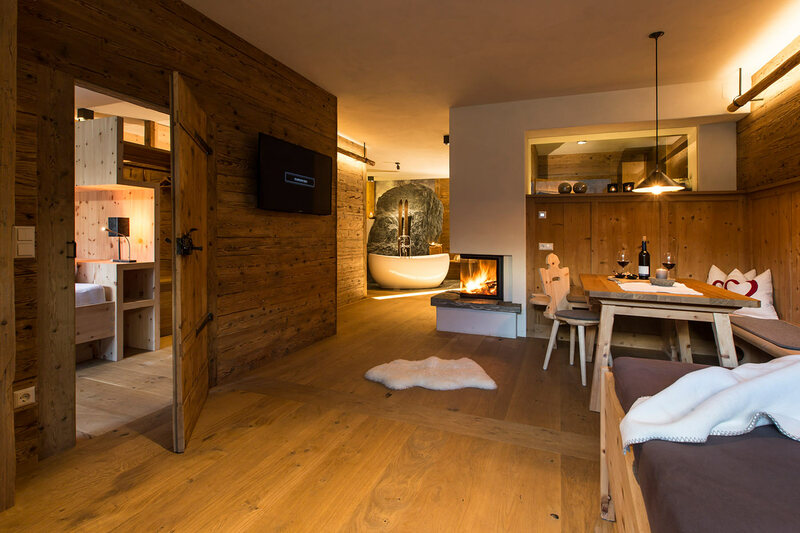 Fragrant wood from arolla pine and oak, centuries-old stone and natural materials set the distinct tone for the lodges, which each offer a living area of 90 m² and a more than 100 m² terrace with a private heated hot pot in the open air… and the wonderful view of the mountains. 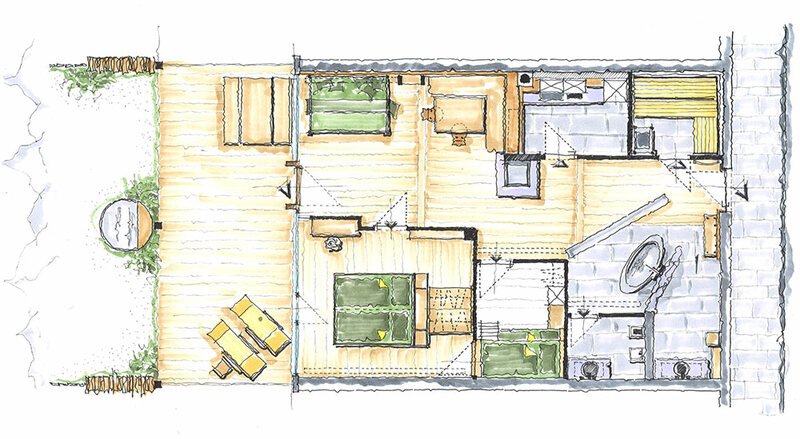 The open-plan living room comprises a traditional dining corner and a snug day bed, which can also be used as a massage couch or as an extra bed. 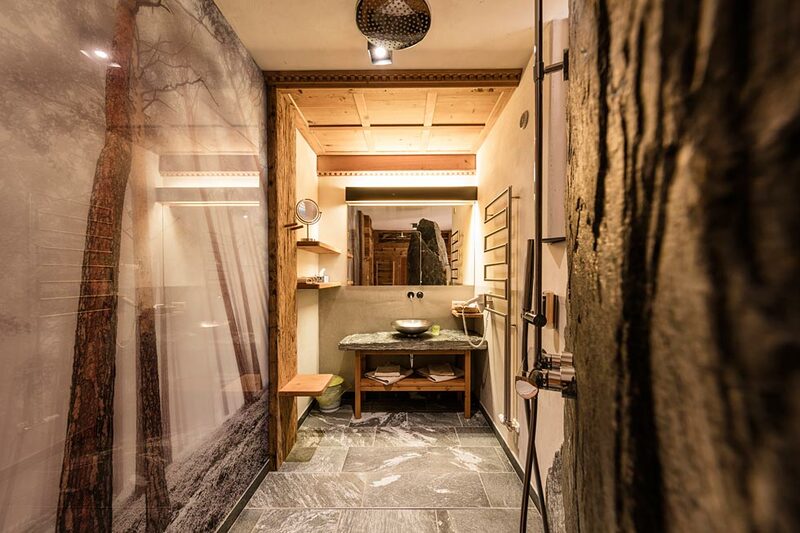 The lodge has a bathroom and two cosy bedrooms. One of the bedrooms has a double bed, a basin with fresh spring water and a walk-in wardrobe – the smaller bedroom has two bunk beds and a wardrobe. 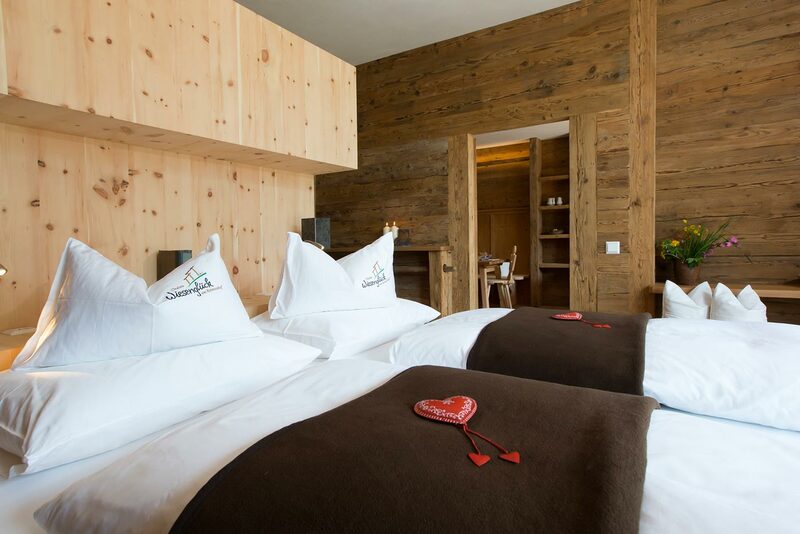 Both bedrooms are furnished with arolla pine. 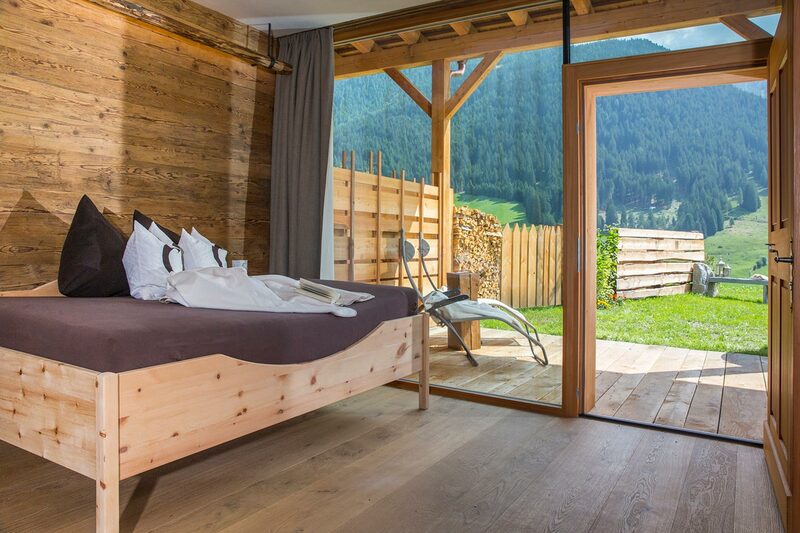 Arolla pine has been proven to reduce the heart rate and ensures particularly refreshing sleep. 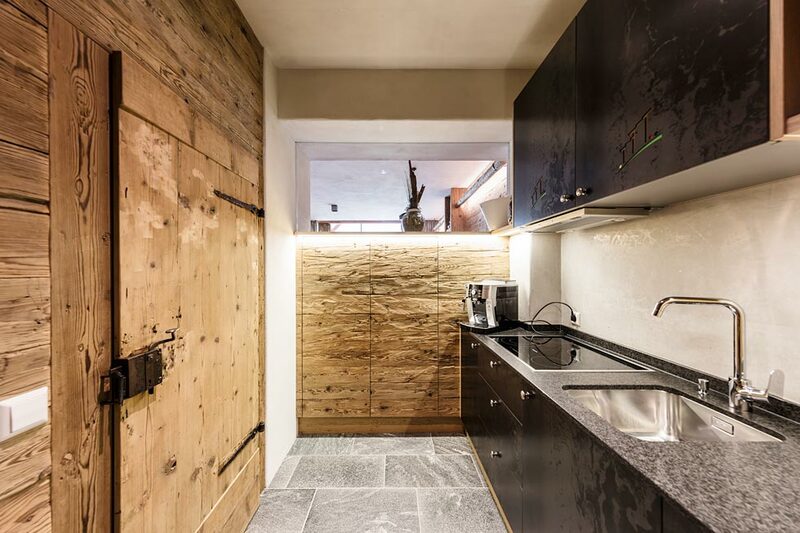 The separate modern kitchen contains a dishwasher, electric cooker and wine cabinet.